Watch out – “The Funny Greek” is coming to town. After a wait of 12 years, we’re thrilled to announce the return of comedian Angelo Tsarouchas, who will join The Laughter Factory on tour throughout Dubai, Abu Dhabi and Doha in March. Recognise this guy? The Greek-Canadian stand-up and actor’s numerous screen credits include hit movies The Untouchables, The Score, The Recruit and Cinderella Man, as well as beloved TV show Mad Men. However onstage is where Tsarouchas’ greatest talents lie. Known for his original style and spotlight-commanding personality, this talented stand-up has been invited to tour alongside Russell Peters and Vince Vaughn, and tape two one-hour solo comedy specials. Widely nicknamed “The Funny Greek”, Angelo last appeared on The Laughter Factory in 2004 – and it’s taken us this long to get him back. Also on the March bill are two deceptively different UK comics – veteran middle-aged grump Mark Maier, and twenty-something Welsh rising star Matt Rees, whose dour outlook can’t disguise his flashes of comedic insight. Taking the spotlight as Vinnie in the award-winning indie romp Fred and Vinnie – playing “the world's fattest acrophobic vegetarian” – earned Angelo a Best Actor award at the London Greek Film Festival in 2012. A hardened UK stand-up whose observational style has earned comparisons to Eddie Izzard, Mark Maier brings a laid-back and insightful poise to the proceedings. Dubbed “fresh and funny” by Chortle and as a “multi-talented, mercurial” comedian by The Independent, Mark first made his name in the competitive club scene of Los Angeles. After later hitting London town, he founded an improvisational troupe alongside award-winning actress and comedian Catherine Tate, and began a never-ending world tour which has seen him travel from Hawaii to Hong Kong – and support the likes of Rory Bremner and Jenny Eclair onstage. A successful screen career followed, resulting in recent appearances in BBC sitcom Boy Meets Girl and a role in the musical silliness of Harry Hill the Movie. “It’s high time someone gave him a TV show of his own,” declared The Guardian. Assured and astute, expect to hear relatable observations and extrapolations about fatherhood, filial responsibility and the mundanities and mediocrities of middle-aged life, countered with a zany playful streak – and some truly silly accents. The accolades speak for themselves – hailed as “quite brilliant” by The Scotsman, “brilliantly witty” and “devastatingly sharp” by Time Out London and as a “properly original comedy mind” by The Guardian, it’s safe to say Matt Rees has enjoyed the warmest of critical embraces. It’s been a sudden assent. Still in his mid-twenties, Reed burst onto the scene as winner of Chortle’s Best Newcomer award in 2012, the same year he made a mark at the Edinburgh Festival Fringe as part of the Pleasance Comedy Reserve. Soon dubbed the “undisputed rising star of Welsh comedy”, Rees mined his small-town upbringing into joke-gold, dosing out fires with dour diatribes detailing a life of loneliness, laziness and junk food – perfect fodder for any night out. Laconic, witty and acerbic are just some of the words regularly used to describe this unassuming, rising stand-up star, who is most definitely going places. The Laughter Factory is the Middle East's longest-running comedy night, proudly making the GCC laugh since 1997. 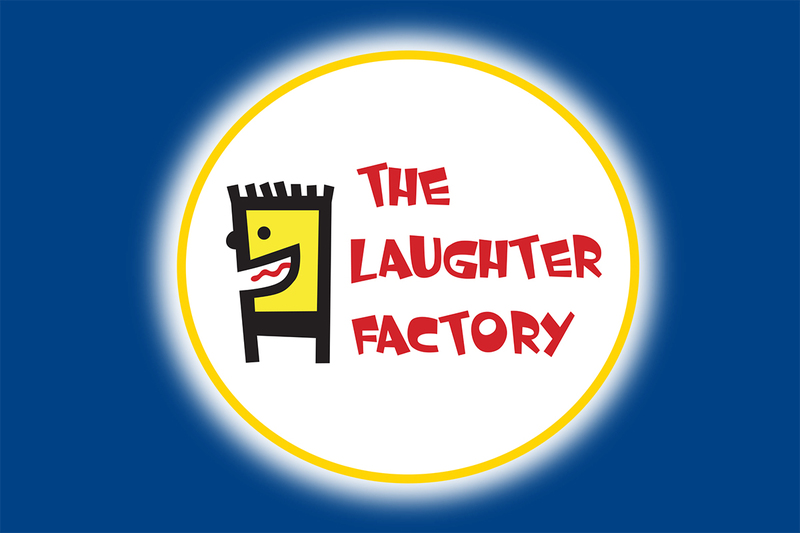 The Laughter Factory hosts a fresh bill of three different professional comedians every month, many already familiar stars of the screen on hit UK TV shows.